Here’s a new card from GIGABYTE AORUS. 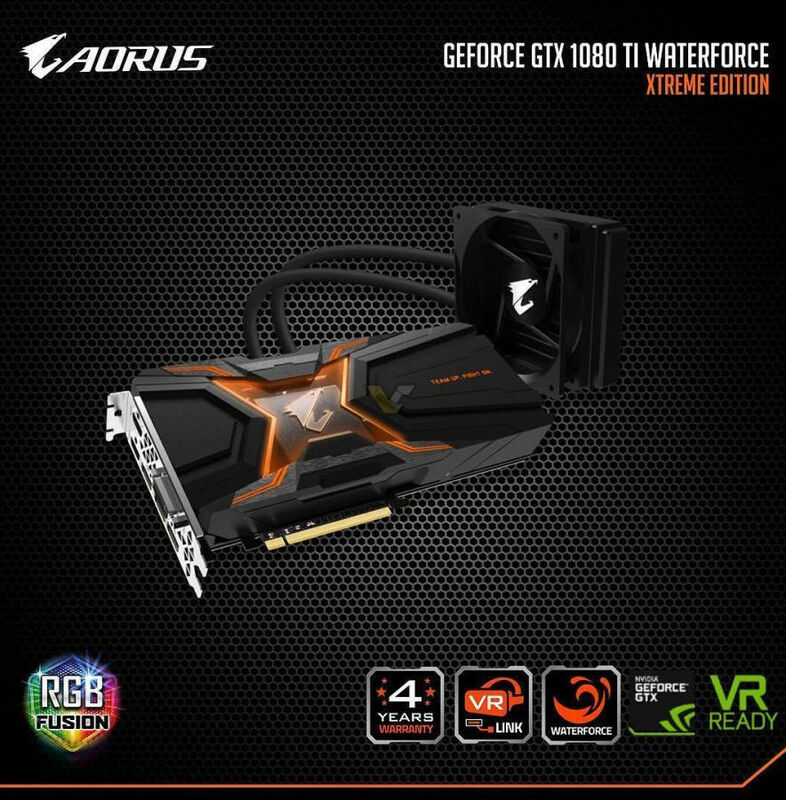 The 1080 Ti WATERFORCE XTREME EDITION has custom PCB (possibly the same as air-cooled AORUS XE) and custom AIO cooling. This model has VR-Link (additional HDMI ports for head-mounted display). The card has 4 years of warranty. This is in fact 100th GTX 1080 Ti in our database.